Heather was elected shareholder in 2011. 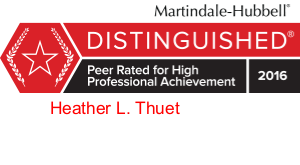 Heather’s practice focuses primarily on real estate, professional liability/construction defect, and personal injury. She is a licensed real estate broker, a small claims judge and has been appointed by Mayor Ralph Becker to the Salt Lake City Historic Landmarks Commission and Land Use Board of Appeals. 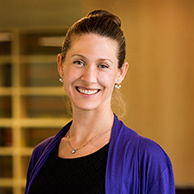 Heather is also an especially skilled and experienced trial attorney. 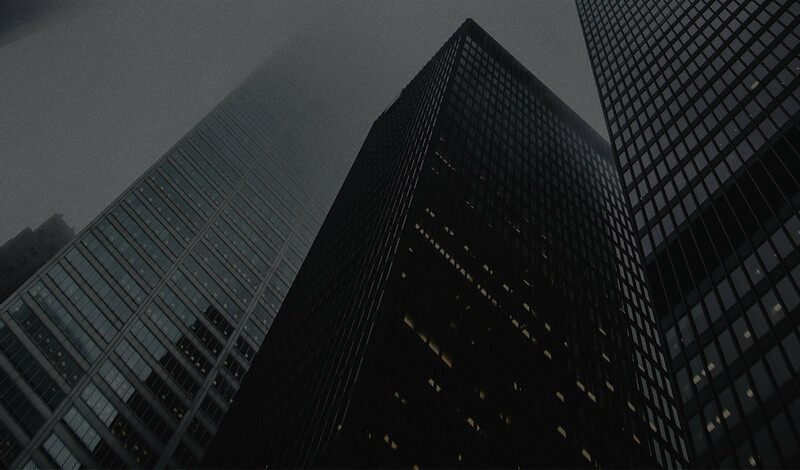 She is co-chair of the firm’s Real Estate practice group. Attorney of the Year 2017, Construction Defect & Dispute Conference. Bar President’s Award for outstanding service and distinction during 2016. Litigation Section Distinguished Service Award, 2016. 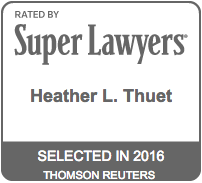 Featured in Women in the Law 2016, Attorney at Law Magazine, Vol. 4 No. 1. Featured in Law Day supplement commemorating Magna Carta, Utah Media Group, April 26, 2015. Mountain States Super Lawyer in 2009, 2010, 2011, 2012, 2013, 2014, 2015, 2016, 2017 and 2018. Recognized by Utah Business Magazine as 2018 Utah Legal Elite in Real Estate. Admitted to practice in Utah, Federal District of Utah and the Tenth Circuit Court of Appeals. “The Gamble of Innovation: Does the Payoff Justify the Risk? Speed to Market Should Not Mean Reckless to Market: Avoiding the Legal Risks of Innovation,” ALFA International 2019 International Client Seminar, Ritz Carlton, Laguna Niguel, Dana Point, California, March 1, 2019. “Free and Low Cost Resources in Utah,” Good4Utah, March 20, 2018. “Licensed Lawyer,” co-sponsored by Affordable Attorneys for All Task Force and Litigation Section, Utah State Bar, March 14, 2018. “Diversity and Inclusion in the Profession,” New Lawyer Training Program Ethics, Utah State Bar, October 19, 2017. “Enforceability of Pre-Injury Waivers/Release of Claims for Injury and Death,” ALFA International PLCT Compendium, August 2017. “Successful Mediation,” Utah Council on Conflict Resolution, Utah State Bar, July 13, 2017. “An Insider’s Guide to Judicial Selection, Retention, and Misconduct,” panel presenter with Chief Justice Matthew B. Durrant, Ron Gordon, Jennifer Yim, Brian S. King and Alex Peterson, Utah State Bar, March 30, 2017. “Preventing the Mediation Meltdown: A Survival Guide to Preparing for Mediation,” Utah State Bar Summer Convention, Coronado, California, July 2016. “Practical Effects of Rules of Civility,” United States District Court, June 22, 2016. “Winning the Battle, Losing the War: Summary Judgment as a Tool in Construction Defect Claims,” 2nd Annual Intermountain Construction Defect & Dispute Conference, February 5, 2016. “Avoiding Legal Malpractice Claims: Practical and Ethical Tips for Beginning and Ending Client Relationships,” United States District Court, December 8, 2015. “Get Ready, Get Excited, It’s Coming Soon,” Message from the Chair, The Zealous Advocate, a newsletter of the Litigation Section, November 2015. “Behind Closed Doors: An Insider’s View on the Rise of Mediation,” American Bar Association Annual Meeting, Chicago, July 2015. “The Judicial Perspective on Litigation: What Works and What Does Not,” moderate panel of Utah judges consisting of Hon. Michele M. Christiansen (Utah Court of Appeals), Hon. Barry G. Lawrence (2nd Judicial District), and Hon. Thomas L. Kay (2nd Judicial District), 2015 Utah State Bar Summer Convention in Sun Valley Idaho. "Medical Aesthetic Malpractice: The Good, The Bad & The Ugly," American Association of Justice annual convention in Baltimore, Maryland, July 29, 2014. "What Goes On Behind Closed Doors In Mediation," Utah State Bar Summer Convention in Snowmass, Colorado, July 17, 2014. "Ethics and Professionalism," Utah Defense Lawyers Association annual meeting, May 2014. Moderated panel presentation consisting of Judge Todd M. Shaughnessy, Billy Walker, and Judge Robert K. Hilder. "Jury Behavior," Utah State Bar Summer Convention in Snowmass, Colorado, July 18, 2014. Moderate distinguished panel consisting of Hon. Glen Dawson, Hon. Kate A. Toomey, Hon. David N. Mortensen and Hon. Clark A. McClellan.